Are you looking for a unique custom monument for you and your husband or wife, your parents or grandparents? Or even a family monument? Our India Black Triple Heart (Model # MK246) is the perfect stone for you! Visit our website at http://www.mikeslaseretching.com, email us at info@mlestones.com or call us at 877-836-0332 for more information on this monument or any other monuments that have caught your eye! 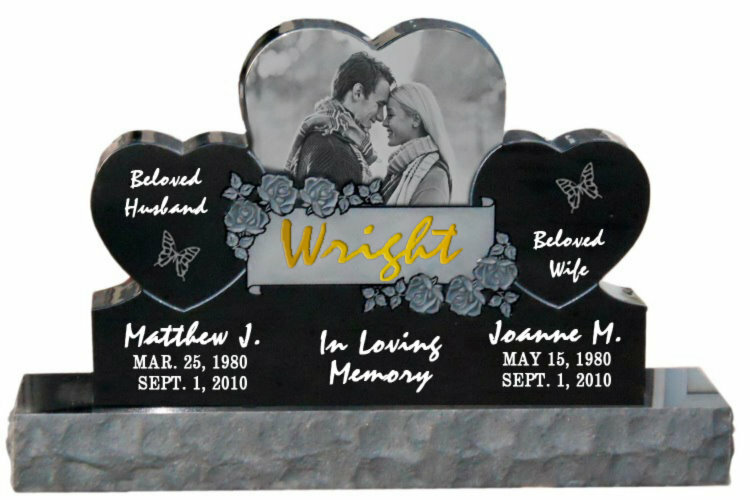 Why Buy MIKE’S LASER ETCHING/SARTIN MEMORIALS?